FingerTec® R2 redefines security by empowering people’s biological traits to enhancing security in their daily lives. 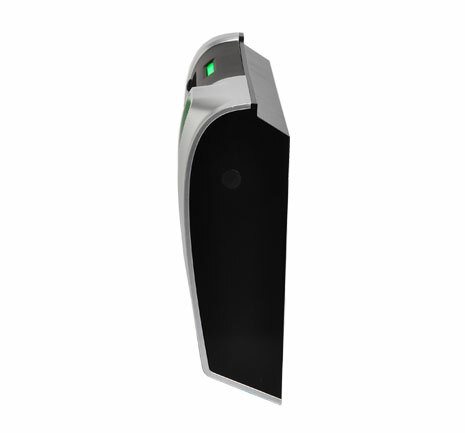 Biometrics technology proves real identity and by incorporating fingerprint technology and card system, FingerTec® R2 provides its users with absolute comfort and convenience every time. 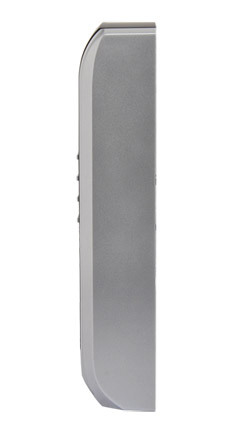 FingerTec® R2 and R2i are the latest complete fingerprint door access and time attendance systems. FingerTec® R2, embedded with 8M-Flash memory, works as a master reader keeping all information and transactions of users intact in the reader and FingerTec® R2i works as a slave reader to read fingerprint. Data from the master readers are accessible through the powerful FingerTec software, TCMS V2. 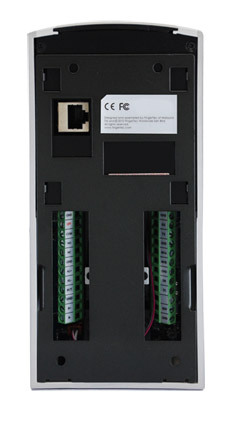 With combination of FingerTec® R2 and R2i, both entrances and exits are controlled by secured biometrics keys. 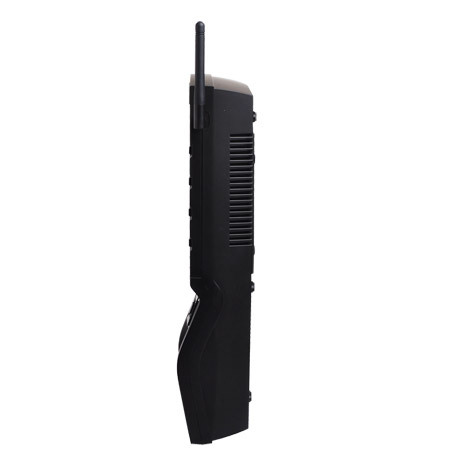 FingerTec® R2 offers the most commonly used communication protocols, TCP/IP for data transfer and it is equipped with an additional USB as backup in an event of connection breakdown. 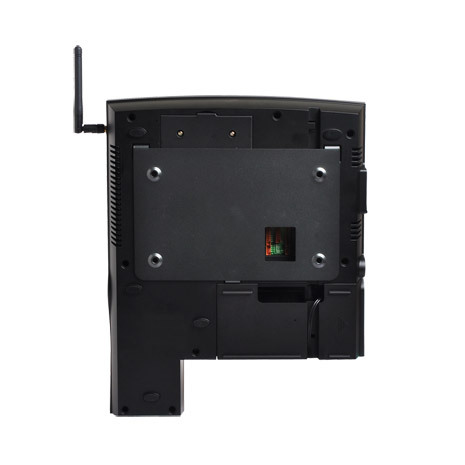 The FingerTec® R2 series also work with standard alarm system to give warning during break in, door ajar or unauthorized dismantling of readers. The powerful TCMS V2 software is bundled with every purchase of FingerTec® R2. It runs on Windows platform for reader and data management, as well as for easy and presentable reporting. FingerTec® R2 readers run on Linux platform, providing flexibility to integrate firmware and performing customized functions. Complimentary Biobridge SDK is also available for integration with third party software. 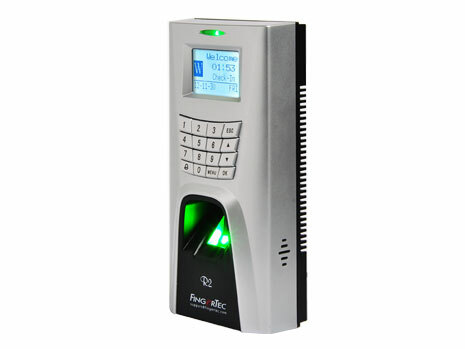 FingerTec® AC900 Fingerprint Door Access Control and Time Attendance System delivers security and convenience, and eliminates the use of cards for door access by identifying users through their fingerprints. 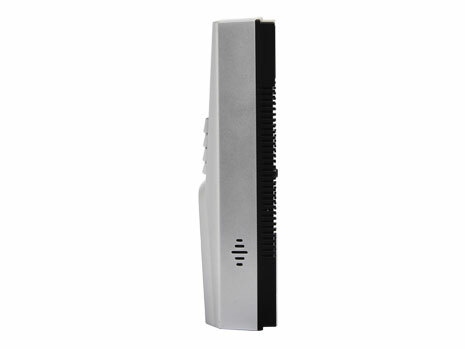 The FingerTec® AC900 is the perfect balance between a stylish ultra-modern door access reader and practicality. 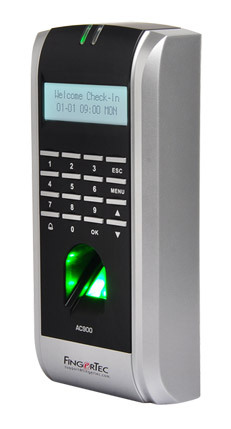 Deploying the scientific fingerprint algorithm with its minutiae matching technique, the FingerTec® AC900 ensures that only authorized staff whose fingerprint templates are stored in the system gain access. 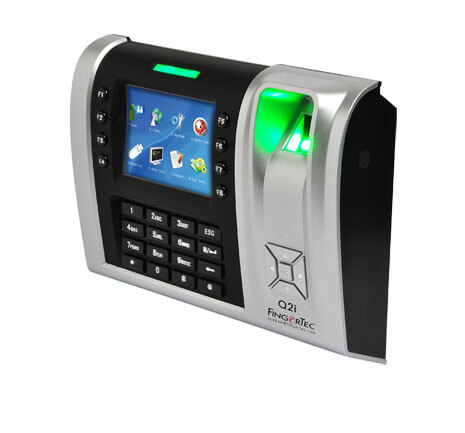 The FingerTec® AC900 eliminates concerns about unauthorized entrance and misuse of cards and keys. 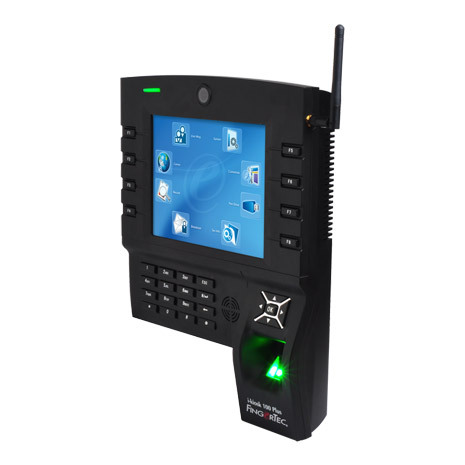 The FingerTec® AC900 is a user-friendly, reliable, and flexible fingerprint authentication system which can integrate with other security solutions to ensure high-level protection for your premises. 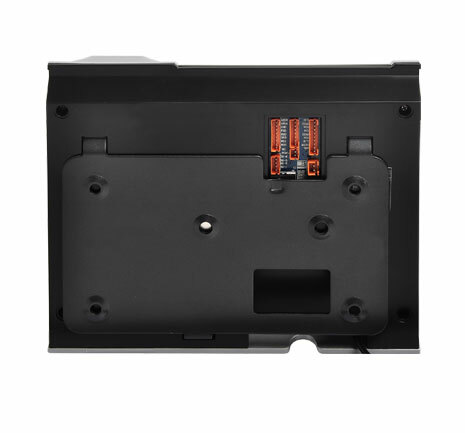 It is a hassle-free system which can be set-up quickly and easily without requiring intensive labor, expensive equipment, or high maintenance cost. 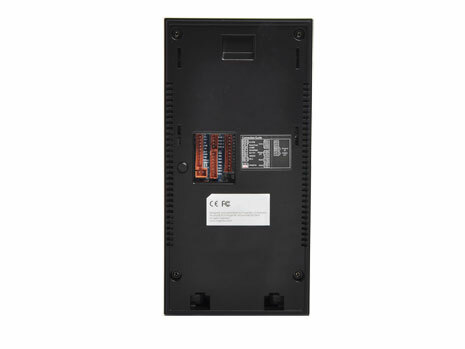 The FingerTec® AC900 Fingerprint Door Access Control and Time Attendance System is the ultimate door access system of today - for your protected tomorrow.